I rang the Guildowns Group Practice and asked for an emergency appointment to see a doctor, stating that I was concerned I may have appendicitis and was immediately booked in to see a doctor at 11.30am that same morning at Wodeland Surgery, a 15-minute walk from the university campus. Side-note: As a Surrey University student & being international, I would strongly encourage students to register themselves with the NHS Student Health Center, (it’s free) located on campus itself as soon as they arrive at Surrey University. This way, when I rang for an appointment, all my details were already in the system. A friend was kind enough to drive me to the clinic for my 11.30am appointment. It was very straightforward as there is an electronic sign-in tab to inform the receptionist & doctor that you’ve arrived. Not too long after, I was seen by the doctor whom suspected I may have early on-set appendicitis and that if the pain persisted, I should make my way to A&E immediately. As I had a previously arranged meeting scheduled for that evening, I decided to play the wait-and-see game in terms of if the pain got better or worse. Unfortunately, by that same evening, the pain had not subsided and I made my way to the Surrey County Hospital A&E. Again, it was straightforward, whereby the receptionist checked my details in the system (since I am registered at the on-campus NHS) and I informed her that the GP referred me here due to suspected appendicitis. I then took a seat and within 10 minutes was seen by a nurse who prescribed me Panadol for the pain and checked me to assign to a category (mine was Majors). I was then taken to the Majors waiting area, to be seen by a doctor. I had blood taken and tests done whilst the doctor checked me once again and went through my medical history. With the results in hand, the doctor concluded that it was most likely a kidney infection due to my symptoms and the specific area the pain was located at. I was prescribed antibiotics which was to be taken for a duration of 7 days as well as painkillers (all free of charge). Given the option, I preferred to go back to my university accommodation instead of spending a night at the hospital. I was told however, that there was still a chance of it being appendicitis and that if the pain did not subside in a couple of days, to come back and ask to be admitted straightaway. Thankfully, turns out, it was only a kidney infection and after the 7 days of antibiotics, I’m on the road to recovery! 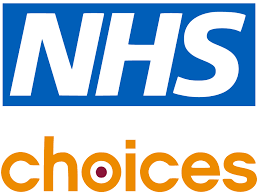 My experience dealing with the NHS has been nothing short of great and pleasant 🙂 I was treated well throughout the ordeal and encountered no issues/problems. I was scared and worried but the staff at both the clinic and hospital helped ease my fears and answered all questions I had. It was scary, being in the hospital without my parents around to speak to the doctors. But it was okay. I have supportive friends who kept checking in with me and offered to keep me company whilst waiting to be seen at the hospital 😀 Word of advice: Always keep your close friends in the loop because you need support especially during medical emergencies. Everything was covered as well, meaning I didn’t need to spend a dime for everything from the GP visit to the antibiotics from the hospital.